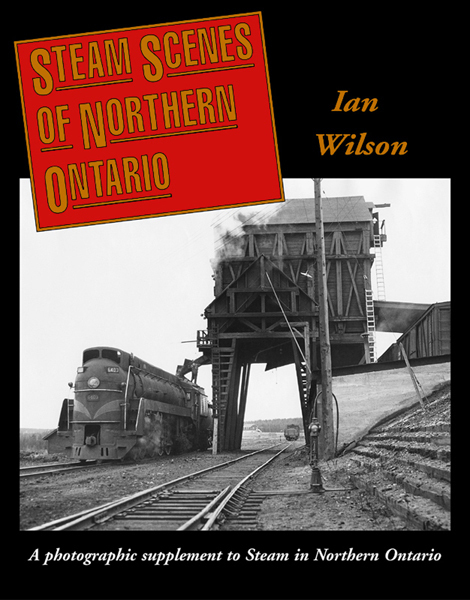 Steam Scenes of Northern Ontario is a 48-page softcover featuring 87 photographs not included in the hardcover Steam in Northern Ontario for space reasons. $24.95 CAD SHIPPED TO CANADA (click button multiple times if ordering more than one copy). Shipping charges and GST will be added. Indicate for whom you would like it signed, if applicable. $24.95 USD SHIPPED TO USA (click button multiple times if ordering more than one copy). Shipping charges will be added. Indicate for whom you would like it signed, if applicable.